Since 1986 N.A. Kirillova has been working at the Department of Applied Mathematics of National Technical University “KhPI”. She has got a master’s degree in Mechanical Engineering “Dynamic and Strength of Machines” at Kharkov Polytechnic Institute. In 1992 N.A. Kirillova received the PhD degree for the work “Sensitivity analysis for optimum designing cyclically symmetric constructions”. She is a specialist in the field of theory and methods of optimization. N.A. Kirillova takes an active participation in science and education work. She has more than 40 publications. N.A. 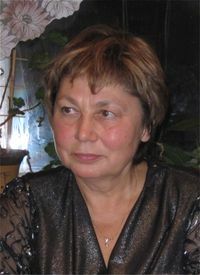 Kirillova is a secretary of the Engineering Physics faculty of the “KhPI” University .